One of the perks of owning past Yo-kai Watch releases, is the ability to get special bonuses by linking to save data. 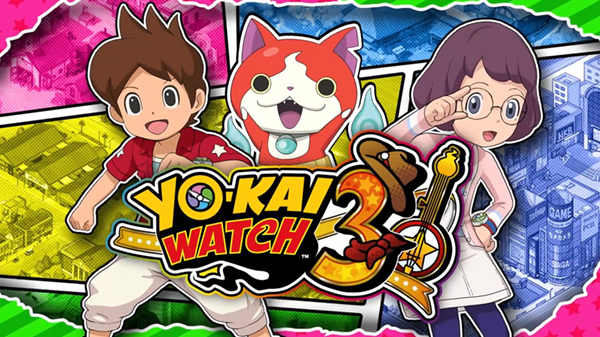 Yo-kai Watch 3 is no different, and below you’ll be able to see the powerful Yo-kai you can befriend and how to unlock them. All you have to do is select the “Yo-kai Watch Series link” button from the title screen, and from there you’ll be prompted to select the various titles you’d like to link to! Linking with YO-KAI WATCH® 2: Bony Spirits unlocks Jibanyan S.
Linking with YO-KAI WATCH® 2: Fleshy Souls unlocks Komasan S.
Linking with YO-KAI WATCH® 2: Psychic Specters unlocks Komajiro S.
Linking with YO-KAI WATCH BLASTERS: Red Cat Corps unlocks Jibanyan B. Linking with YO-KAI WATCH BLASTERS: White Dog Squad unlocks Komasan B.